Here's a look at some of the awesome Habitat events you can attend throughout the year. Celebrating its 20th year on May 4, 2019, the Hard Hat & Black Tie Gala is the party that's a little less formal and a lot more fun! The "construction couture" dress code means you can still wear that black dress—but maybe throw in some work boots or a hard hat. 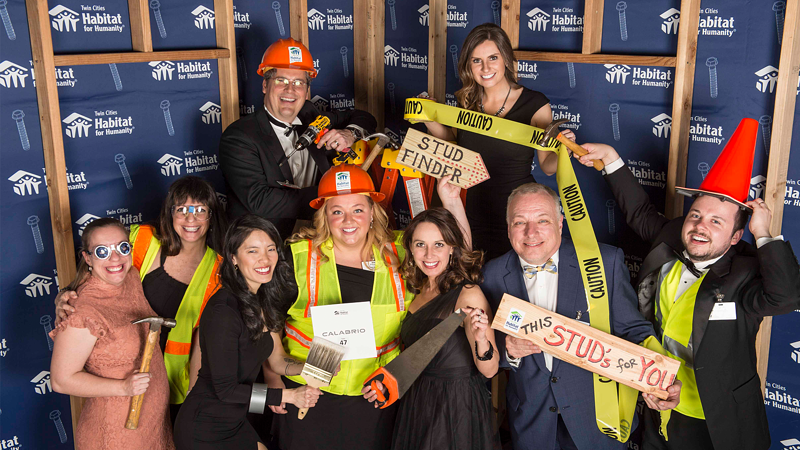 Hard Hat & Black Tie is a night you won't forget, complete with a scrumptious dinner with an inspiring program, fabulous silent and live auctions, the best photo booth around, party games, a live band, and more. But most importantly, it's a way you can make a serious impact for local families. This year, the goal is to raise $1 million, and you can be part of it. The Hard Hat & Black Tie Gala is of the most beloved events in the Twin Cities each spring. Get some tickets and find out why. Picture this: a gorgeous August day at Minneapolis Golf Club—rolling green hills, pristine fairways, the whole nine yards. 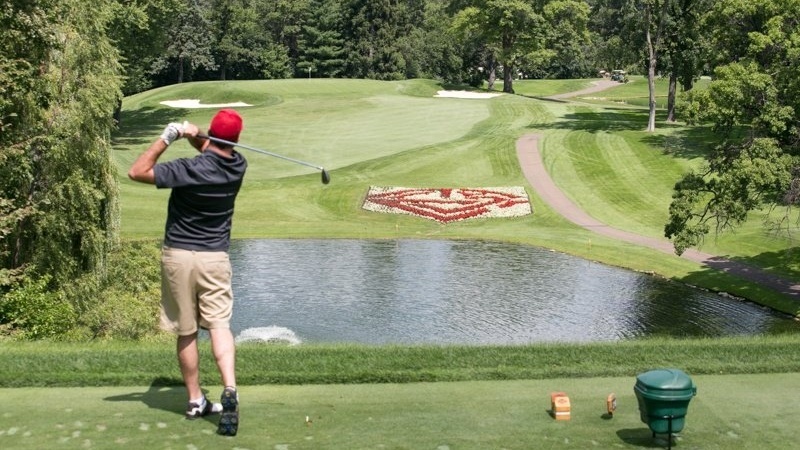 You spend the day golfing with a foursome of friends or colleagues, enjoy a delicious lunch and dinner, win a prize in the silent auction, and help raise some serious money for Twin Cities Habitat. Doesn't it sound perfect? That's our Raise the Roof Golf Tournament in a nutshell. Whether you're an avid golfer or are just after a day of fun, you're welcome at Raise the Roof. Now's the perfect time to start making your plans to attend the 2019 Raise the Roof Golf Tournament on Monday, August 5, 2019. 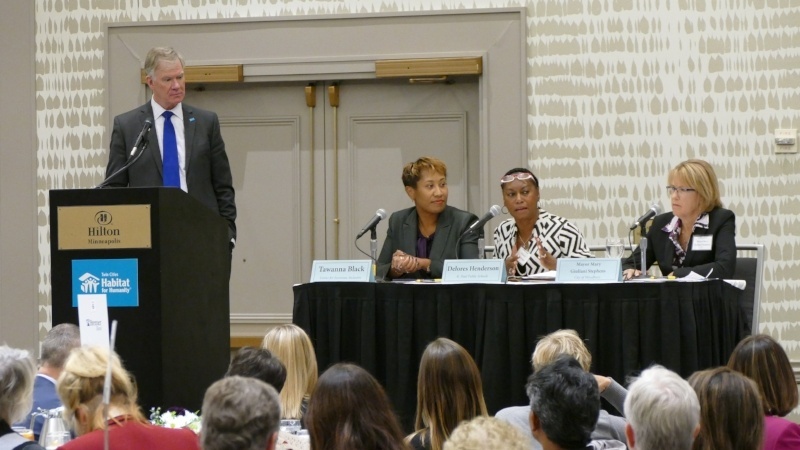 Save the date for this year's luncheon on Tuesday, September 24, 2019 at the Hilton Minneapolis. Here are a few of the things you might experience at a Habitat home dedication: Children running around, excitedly showing off their new rooms. Volunteers reminiscing about how they raised the walls on the home. The sweet taste of sheet cake. And homeowners welcoming everyone—family members, friends, neighbors, Habitat supporters —into their home to celebrate with them. It's not uncommon for a few happy tears to be shed. Habitat home dedications are joyous, memorable events, and you're invited! Check out upcoming home dedications. Habitat events let you invest in stable families and strong neighborhoods in a powerful way. And, they let you have a lot of fun in the process. Please consider joining the Multiplying the Impact campaign and attend an event this year!